After Hosting the Paragliding Pre-World Cup Successfully last year, Himachal Pradesh is now gearing up to host the 2015 paragliding World Cup. The tournament will be organised under the aegis of the Paragliding World Cup Association, France. The World Cup will be held from October 24 in Bir-Billing, Kangra district in which around 150 top ranked pilots of the world would participate besides 500 free flying pilots. 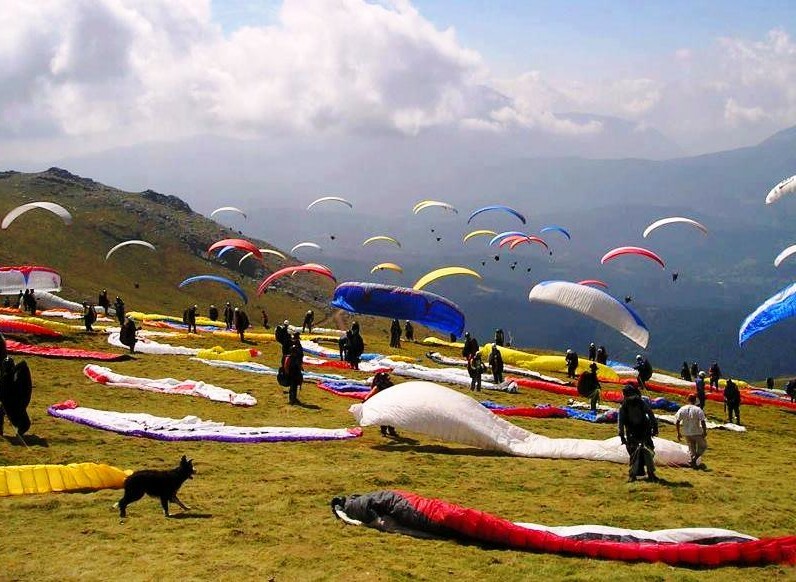 After hosting the paragliding pre-World Cup successfully last year, Himachal Pradesh is now gearing up to host the 2015 paragliding World Cup. The tournament will be organised under the aegis of the Paragliding World Cup Association, France. The World Cup will be held from October 24 in Kangra district in which around 150 top ranked pilots of the world would participate besides 500 free flying pilots. Urban Development Minister Sudhir Sharma, who is also Chairman of the Billing Paragliding Association said that the State had been given an opportunity to organise this event by the Paragliding World Cup Association keeping in view the successful organisation of the pre-world cup last year. Sharma said that different kinds of activities would be organised to add attraction to the competition, which includes acrow show in air and hot ballooning.